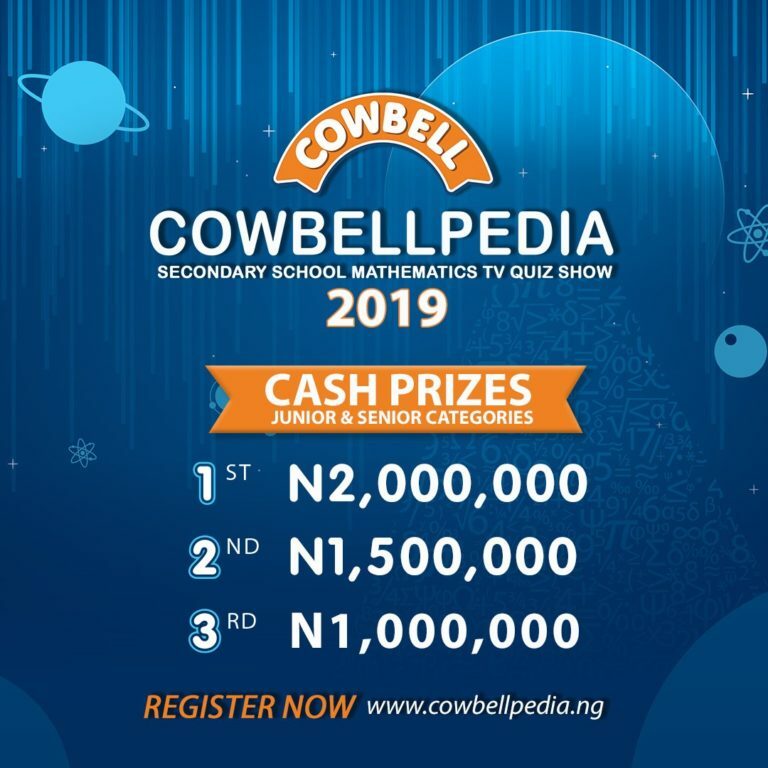 Cowbellpedia Mathematics Competition Invitation: Cowbell is now accepting applications from students attending full time Secondary Education in both Public and Private Schools in Nigeria for its 2019 National Secondary Schools Mathematics Competition. Do you want ₦2m? Educational trip abroad and the bragging rights of being crowned the best Mathematician in Nigeria? REGISTER for the 2019 Cowbellpedia TV Quiz Show for FREE. NOTE: The application deadline is February 3rd, 2019.